Hello Friends, it’s Eddie Teddie! It’s a brand-new year! In January a lot of people make promises to themselves of things they would like to achieve by the end of December. These are called New Year’s resolutions. Often adults will say they are going to do more exercise or eat plenty of healthy foods. I have decided that this year I am going to make a New Year’s resolution too. My resolution is to save even more money than I did last year! I am proud of how much I managed to save in 2018. This year I would like to do even better! I have seen a new bike that I would like. Mum and Dad have said that mine works just fine so if I would like it, I will have to buy it myself. This means that I am really determined to save as much money as I can! Having a goal to aim for helps me save money. Saving money isn’t all about just buying what you want. When you have your own money, it makes you feel really grown up and responsible. Every time I go on holiday or to the shops, if I see something I like I don’t have to ask for the money to buy it. I now have my own. It’s a really good way of practicing for when you are a grown up too. Grown ups have to be careful with the money they earn because they have to pay for lots of things every month. Things like electricity bills, food and our school uniform! They have to add up all the money they get each month. Work out how much they need to spend on bills and food. Then, they can see how much money they have left to do fun things. Mum told me this is called budgeting. I think it sounds quite complicated. Maybe I should also make it my New Year’s resolution to learn more about making a budget! Mum says that the earlier you learn to be responsible with your money, the easier it will be when you are a grown up. If you’re not careful, you sometimes can’t afford to have nice holidays, new bikes or trips to the cinema. I want to make sure that when I am a big teddy I will still be able to do all of my favourite things! 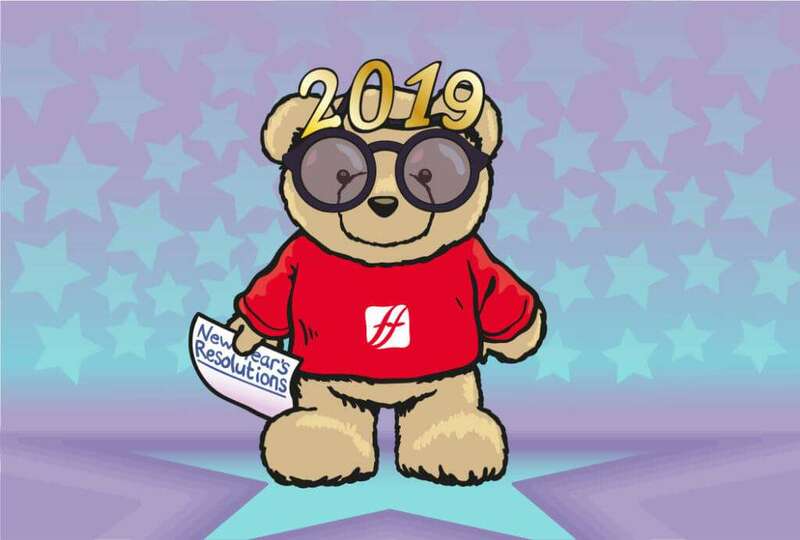 Do you have any resolutions for 2019? If you don’t, how about trying to save up some money too?